The first Lenovo Lecoo Unmanned Store is located in Beijing, at the company's tech campus. Its goal is to help Lenovo test its facial recognition, electronic payment, IoT, AI, and AR technologies. The catch is that Lenovo tablets are being used instead of the human staff one would expect to see in a store. Lenovo's Lecoo is a smart home brand that has been around for a few months already, and now it looks like the time has come for the first retail store that carries this name to open its doors for the public. However, the first Lenovo Lecoo brick and mortar location comes with a very interesting twist — it has no human staff to interact with. Located at the Lenovo campus in Beijing, the Lecoo Unmanned Store is more about testing new technologies than anything else. This is how Daryl Cromer, Lenovo VP of Research and Technology, describes the experience provided by this location to its customers: "Shopping at the store is quite simple. You walk up to the door, cameras recognise your face, you browse the aisles, pick out what you want as usual, then -- and here's the magic -- you just walk out, and your account is automatically settled via your mobile payment." 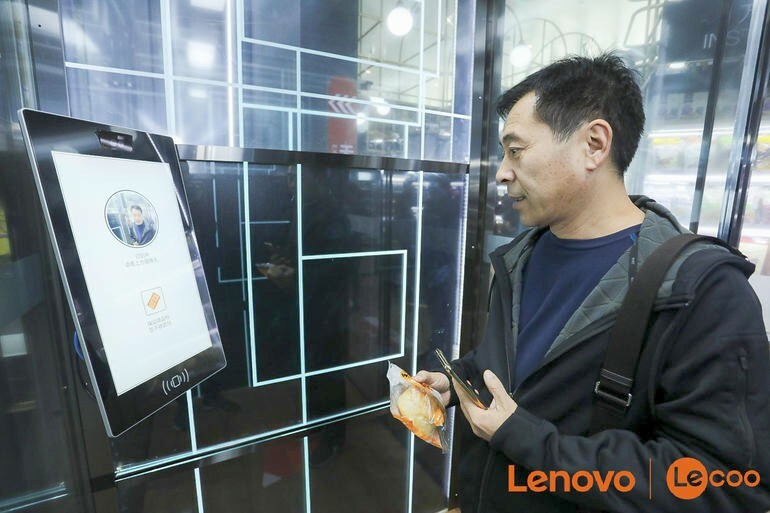 While the Lecoo Unmanned Store in Beijing might not expand into a global retail chain, the lessons that Lenovo will learn here could help the company improve its technology in various areas, such as facial recognition and various AI-driven tasks. In the future, the company will also add online-to-offline delivery to the store, as well as and an AI-driven coffee machine able to remember each customer's order. Sooner or later, mankind will become obsolete. Lenovo's new store might be just a drop in an ocean, but this ocean seems to be filling up quite fast. Do you think that your job is safe from machines right now? How about in 50 years from now? Let us know what you think about the AI revolution in the comments below.